For the first time, MRSEC researchers have created single layers of a naturally occurring rare mineral called tungstenite or WS2. 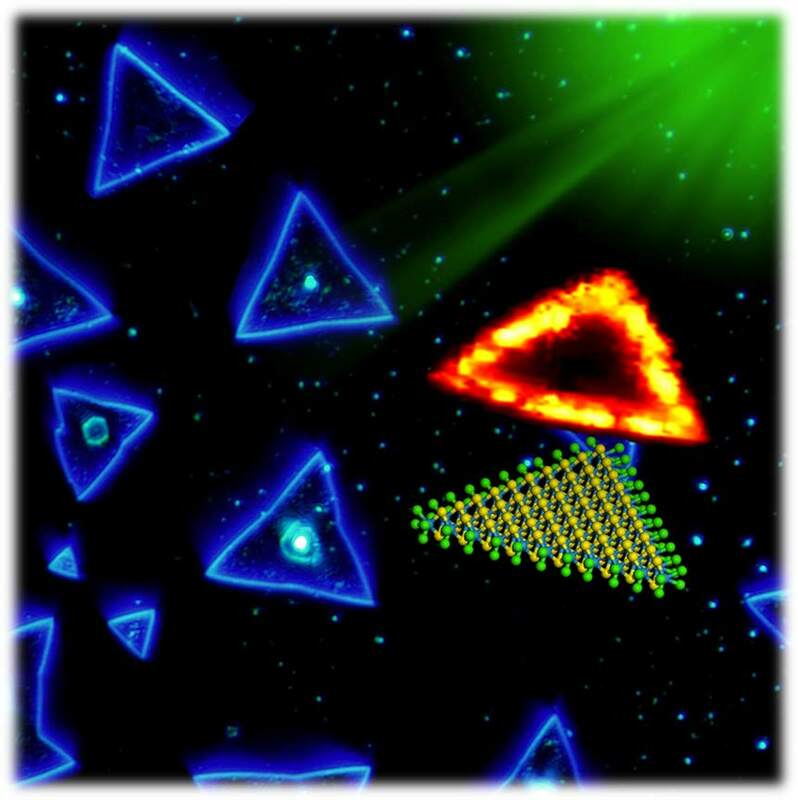 The resulting sheets of stacked sulfur and tungsten atoms forms honeycomb patterns within triangular islands that have unusual light-emitting (photoluminescent) properties. These triangular structures could have many potential applications in optical light detection, light-emitting diodes, and lasers. MRSEC researchers plan to use this chemical-vapor-deposition technology to grow innovative monolayers from other layered materials, such as molybdenum diselenide (MoSe2), niobium diselenide (NbS2), tungsten diselenide (WSe2), and others.